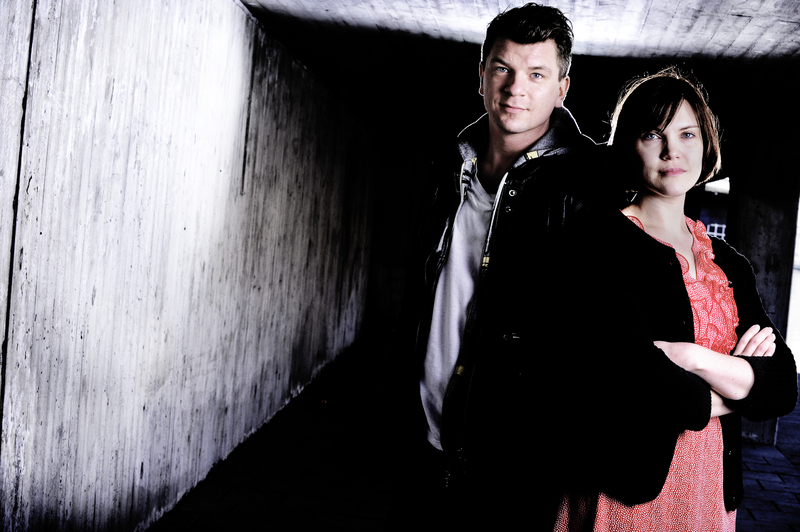 Sara B. Elfgren and Mats Strandberg first met in 2008. They quickly realized that they wanted to write together, and in 2009 they started working together on the Engelsfors trilogy. Sara B. Elfgren (B is for Bergmark) started her career in the film industry as a screenwriter and script editor. She has a degree in film studies. The Circle was her debut novel. She is currently writing a new fantasy book series and, together with comic book artist Karl Johnsson, the graphic novel Vei. She has cowritten the screenplay to the film adaptation of The Circle together with director Levan Akin. She has released a children’s book in collaboration with illustrator Maria Fröhlich. Sara was born in 1980 in Stockholm, and she still lives there. She is married. Mats Strandberg is an author and a journalist. He was a regular columnist at Aftonbladet, the largest evening newspaper in Sweden 2005-2013 and before that in the magazine QX. In 2004, the organization Sveriges Tidskrifter (Sweden’s Newspapers and Magazines) awarded him the title “Columnist of the Year”. Mats Strandberg has previously released three books, of which the third one, Half Lives was awarded “Book of the Year” in 2009 by QX. He is currently writing a horror novel which will be released in Sweden in 2015. Mats was born in 1976 in Fagersta. He moved to Stockholm in 1992 and never left. He is engaged. More info about the writers here!